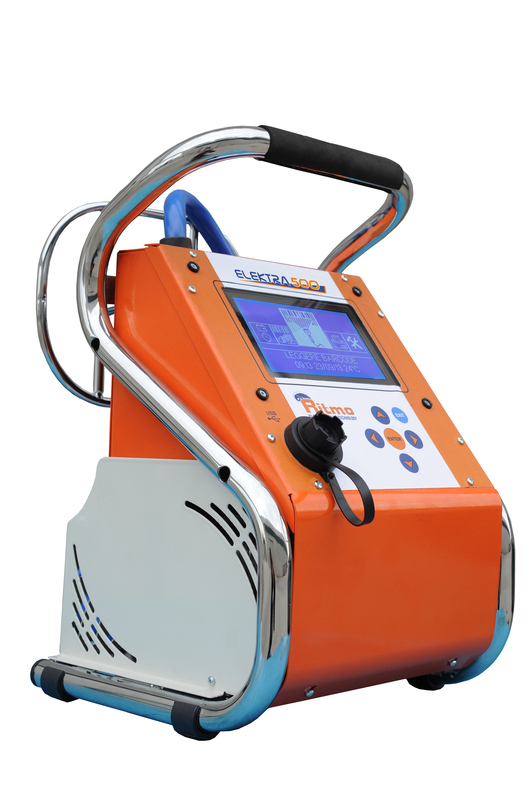 ELEKTRA 500 is an high performance universal electro-fusion machine, used for welding HDPE, PP, PP-R couplings (from 8 to 48 V). -a laser scanner – barcode reading system that enables automatic setting of the welding parameters. There are two manual settings available: 1) by setting the welding tension/time parameters, 2) by introducing the numerical code indicated under the bar code, to recognize welding parameters automatically.